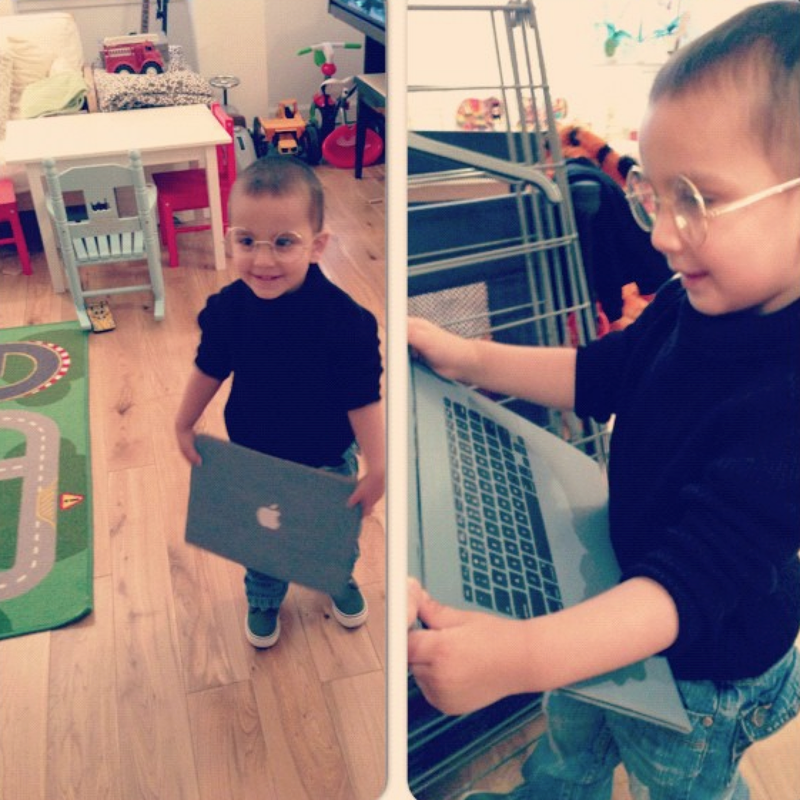 A good friend decided to dress her son up as the great Steve Jobs. Not sure it’s ideally suited to Halloween, but uncanny all the same. Complete with cardboard Macbook!